Whether you truly believe the allegations against The King of Pop or not, it’s safe to say that the subject is an imperative topic of conversation these days – and although it is fair to say that Michael isn’t around anymore to defend himself, it seems a lot of celebrities and personal friends are stepping up to speak on his behalf instead. 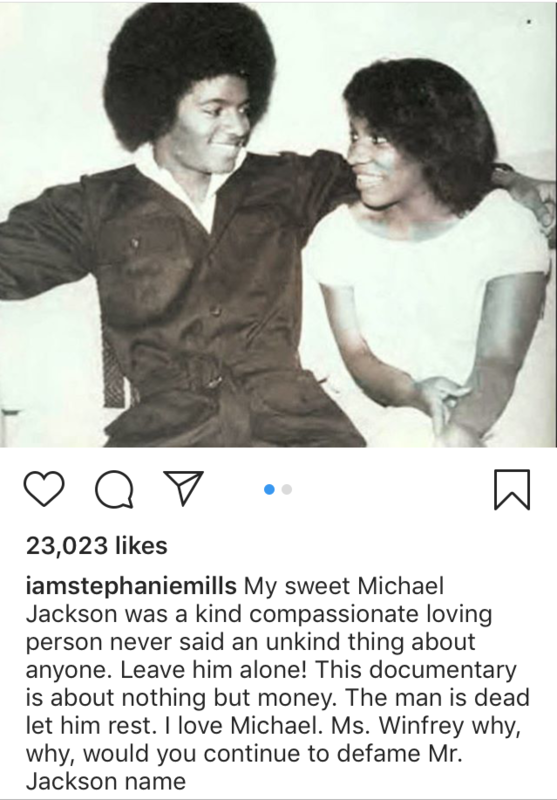 Stephanie, who knew Michael personally, has took to social media to cast shame on those attacking Michael’s memory, imploring people to “leave him alone”. She has posted videos of previous interviews with Jackson, in which he defends himself – with Stephanie penning her own caption expressing her sorrow for her friend.